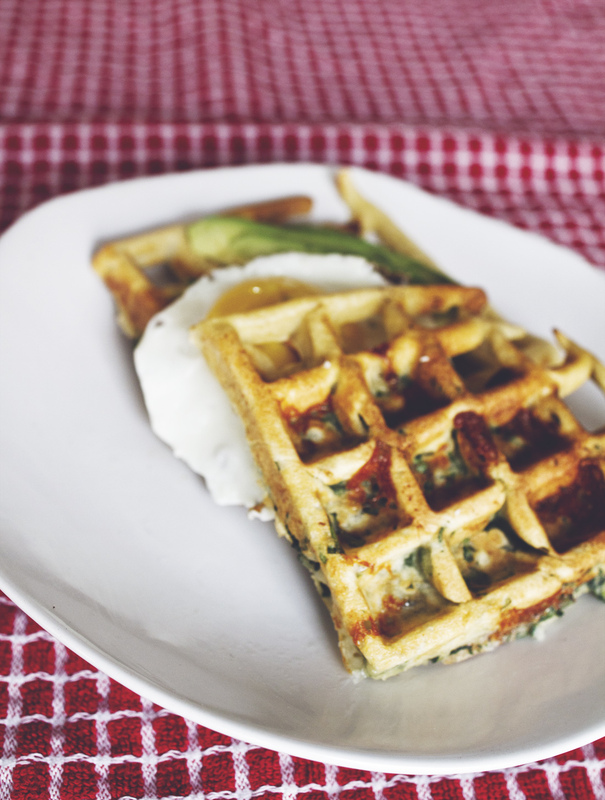 Savory waffle sandwich – there is a waffle for everyone! Confession time, I’ve recently been obsessed with my waffle iron. Call me crazy, but the idea of being able to bake something in no time that looks so nice and in shape… mind-blowing! No mess outside, no need to turn anything around in a pan. You put in the dough, you close the iron and then you just wait and get out a delicious hot waffle! Growing up, we always had sweet waffles that my mum made, made with a lot of flour, vanilla and sugar. Soooo delicious! My sister and I used to sit in anticipation of the waffle – hers would be crisp and golden (the way she likes her waffle) and mine would be all creamy white, the dough barely cooked (oh yumm! For me, there’s only this one way to have the sweet waffle!). 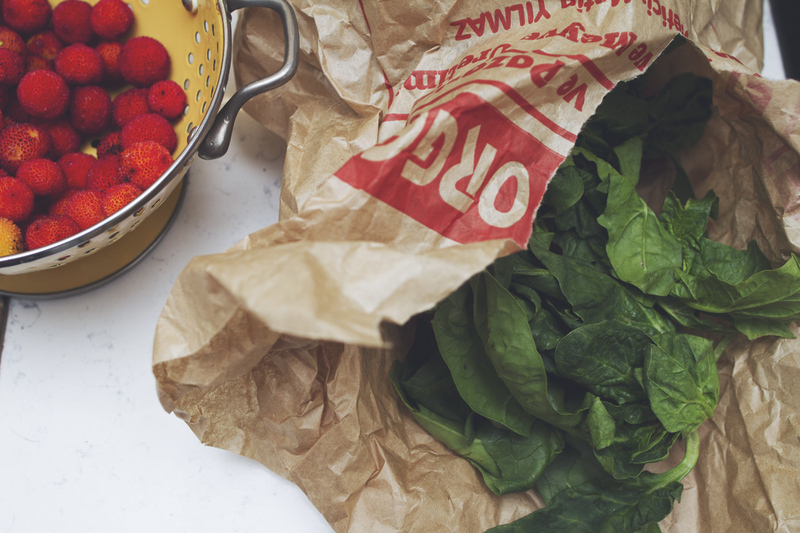 This recipe is a healthier take on it and offers an option for those that don’t always appreciate sweets for breakfast! 1. Combine all ingredients for the dough. Add the milk last so you can see how much you need to get a good dough consistency. It should be running, but gluey. 2. Heat up the waffle iron and once hot, add the dough and bake the waffle. Lovely smelling steam will come out of your iron – way to wet the appetite! 3. Fry both eggs sunny side up and slide the avocado in thin slides. 4. 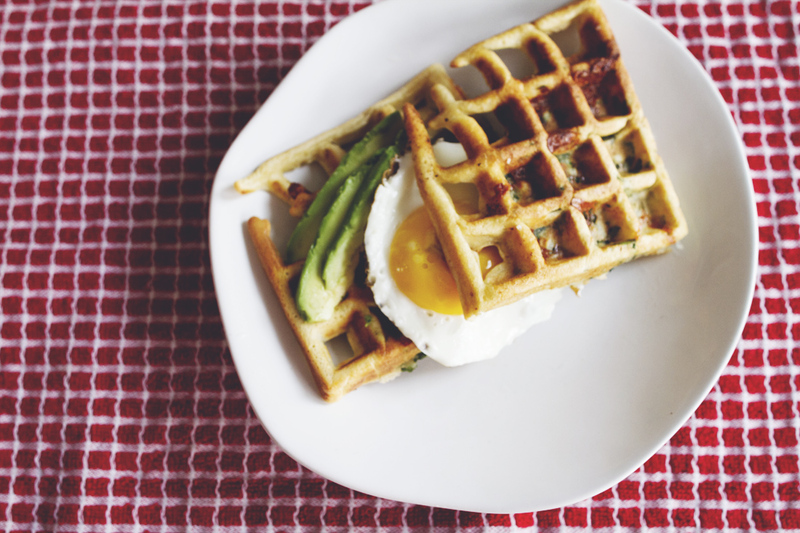 Once the waffle is done, add the avocado and egg on half of it and top it with the other. This makes a waffle sandwich! Posted in BreakfastTagged breakfast ideas, breakfast recipe, breakfast sandwich, different breakfast, glutenfree breakfast, glutenfree eating, glutenfree recipe, glutenfree waffles, healthy eating, healthy food, healthy recipe, healthy recipes, waffle recipe, what shall i eat for breakfastBookmark the permalink. Chicken Peanut Soup – the remedy to grey days!